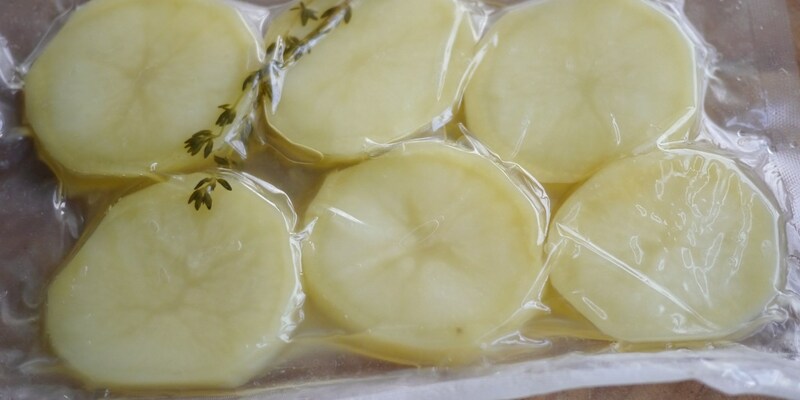 While it isn't possible to actually roast the potatoes sous vide, the pre-cooking which would normally be done in boiling water can be done this way, and it will produce much more consistent results. The flavour will be better too as none is lost to the water in the saucepan. Try adding different flavours to the bag such as garlic, rosemary or even saffron. Anna Hansen serves roast potatoes with a delicious Leg of lamb, spiced parsnips and carrots or, if you are feeling festive, Dominic Chapman’s Roast Turkey is fantastic accompanied by roast potatoes.